Small and medium-sized enterprises are the backbone of the Australian economy. Defined as businesses with annual turnover in the range of $100,000 to $50m, their contribution to GDP stands at 57% and they are responsible for the employment of more than two thirds of the nation’s workforce. Naturally, the owners and directors of SMEs are ambitious people who want their businesses to thrive. Data published last year by Canstar confirms that one in 10 SMEs are actively engaged in a growth strategy, and 45% aim to expand operations within three years. However, in order to thrive, SMEs need capital, and, as confirmed by Scottish Pacific’s SME Growth Index, the availability of credit is a primary hindrance to growth for 64% of these businesses. Since the first sentiment index was published in 2014, the number of SMEs funding growth via their main relationship bank has decreased by 11 percentage points, while the popularity of non-bank lenders has more than doubled. The figures confirm a clear trend: a major source of Australian employment and economic growth is being squeezed by a lack of credit. “It’s incredibly important to be able to access money in order to grow a business, whether that is to refurbish a store, buy inventory or just do something that you can’t normally do through traditional finance,” says Cameron Poolman, CEO of specialist online SME lender OnDeck. “Yet small businesses in Australia find it really hard to access capital,” he says. The terms and conditions of traditional credit only compound the problem, with many SME owners required to borrow against their homes in order to support the businesses that fund their mortgages. It’s a catch 22 of the highest order. Drawing on its own research, OnDeck reports that one in five SMEs are unable to take on new business due to cash flow restrictions, and 90% say improved cash flow could increase revenue by as much as 11.7%. Despite this, only 9% of SMEs used alternative sources of funding in 2017. Historically, 63% of small businesses have been heavily reliant on traditional bank loans, while others have turned to credit unions, friends and family. But with 25% of surveyed SMEs planning to seek additional financing over the next 12 months, there is a strong call for their options to expand. Bringing a fresh approach to the space, OnDeck has been lending to SMEs in the US since 2007 and globally has supported 80,000 businesses through the delivery of $8bn worth of finance. Australian operations launched in 2015 and lending volumes have doubled every year since. Not content with simply filling the gap left by traditional banks, the lender is innovating in the alternative finance space by offering an online application and approval process for loans, with funds secured within one business day. With a focus on supporting cash flow businesses that make at least three deposits a month, OnDeck services short-term requirements of $10,000 to $250,000, offering loan terms from six to 24 months. “We don’t propose that we can do everything. What we do propose is to be fantastic at servicing our small business customers with unsecured loans, and we will continue to focus on that segment. Our mission is to deliver the finance that can make small businesses successful," Poolman says. Last month, OnDeck predicted that demand for finance in the Australian SME sector could reach $2bn in value by 2020. Global CEO Noah Breslow says, “There is a huge amount of potential energy in this market. As the awareness and adoption of alternative lending both increase in Australia, there is no reason to think that this couldn’t be a market that is five, 10 or even 20 times the size it is today, in just a couple of years." OnDeck’s average borrower has been in business for eight years and has previously approached a mainstream lender for funding, only to be declined or suffer a bad customer service experience. While these factors, hand in hand with awareness, are a significant driver of OnDeck’s recent business growth, repeat custom also plays a part. Similarly to how online shopping has transformed the retail sector, once a business owner has experienced online lending it transforms their entire approach to operations. “Bad experiences with a bank loom large, preventing businesses from even applying for finance, because they perceive the transaction cost as being too high,” Breslow says. “Once they know how quick and easy it is to obtain finance, they seek out growth projects more often. As these trends echo throughout the Australian SME space, OnDeck’s growth strategy will continue to focus on awareness of alternative finance options, which currently stands at 30% in Australia compared to 70% in the US. Supporting this, Australian borrowers will soon be able to benefit from the introduction of a new line-of-credit facility, providing an alternative to the term-loan product for flexible working capital. Predominantly entrepreneurs and business owners themselves, brokers have played a significant role in OnDeck’s performance to date, and this is set to continue over the coming months and years. One of three origination channels, brokers have historically driven around 89% of all OnDeck loans as SME owners seek them out for advice and guidance on their borrowing options. Paradoxically, this demand for one-to-one interaction and guidance is at odds with the established perceptions of fintech-powered lending. In short, the SME operator’s demand for superior face-to-face service, coupled with the speed and agility of online lending, brings the market full circle. 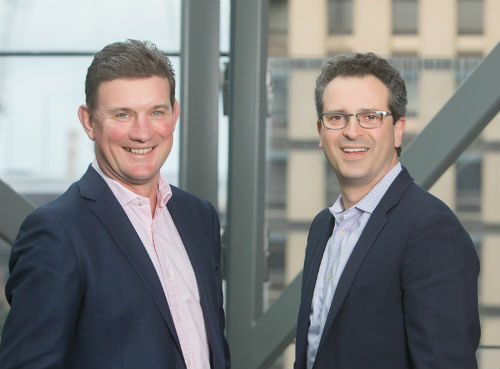 As a result, OnDeck is working to expand its already-large team of broker partners, and the expectation is that the broker channel will outpace both direct and strategic partnership originations in Australia by the end of this year. Supporting this target, OnDeck’s broker program offers accreditation, education and guidance. Not only is this critical to the lender’s success but is vital in terms of supporting brokers in diversifying from their current focus on residential lending. “As an industry, our job over the coming few years is to drive awareness of our online lending solutions for small businesses. We really want any small business considering a loan for any purpose to seriously look at online lenders as a viable alternative to a traditional bank, and through our broker channel this is already being achieved,” says Poolman. With new products coming to market, enhanced cooperation within the industry and growing awareness among customers, for Australia’s start-ups, SME operators and brokers, business certainly is booming.